Mr Basu told the BBC: “We saw a spike in hate crime after the referendum, that’s never really receded. “So there’s always a possibility people are being radicalised by the kind of febrile atmosphere we’ve got at the moment. 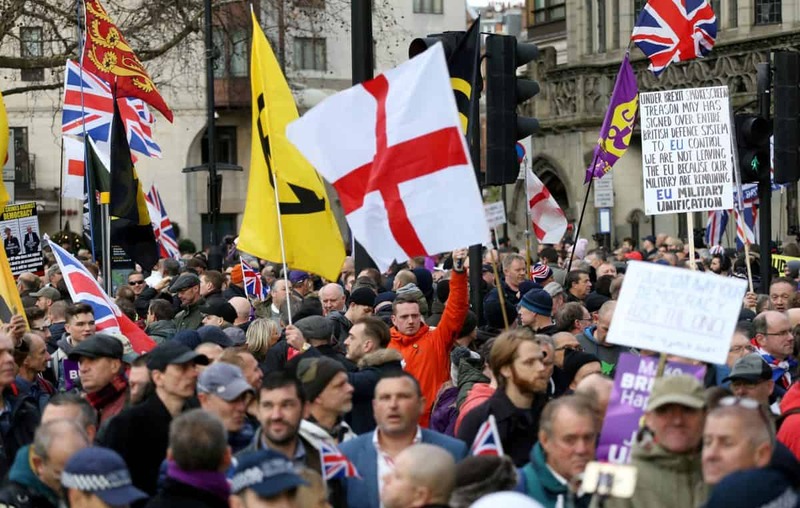 Commenting on today’s warning from Neil Basu, HOPE not hate’s campaigns director, Matthew McGregor, said:“We have continually reminded people that there is a real threat of violence from the far right and that that threat is on the rise. “The violent extremists are becoming more extreme, younger, and real resources are needed to counter them. We welcome the fact that police are now taking this threat seriously. Mr Basu said that extreme right-wing activity was still a “relatively small threat.” However it is “something we’ve got to pay very close attention to in this country – that we don’t let that kind of far-right drift into extreme right-wing terrorism and we’re working very hard to stop that”. Sajid Javid recently commented that he was confident that with or without a Brexit deal Britain would “continue to be a very safe country”.